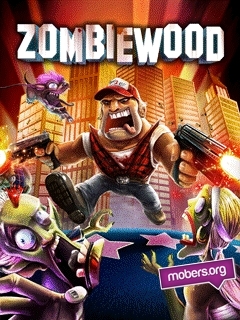 Zombiewood (by Gameloft) — Mobers.ORG — Your Daily Source For Mobile FUN! Zombies have taken over Hollywood! But despite being an inexperienced college student, you have managed to stay alive… so far. Now it’s time to find your girlfriend, who disappeared when the mess began. 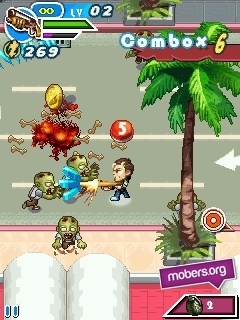 Travel across a zombie-filled California and survive a massive onslaught of insane zombies. 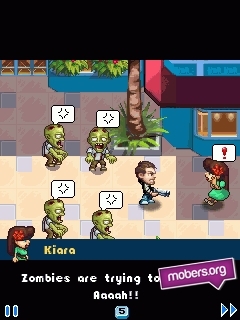 With 68 fun missions and super-intuitive gameplay, Zombiewood is probably one of the most addictive mobile games ever released! 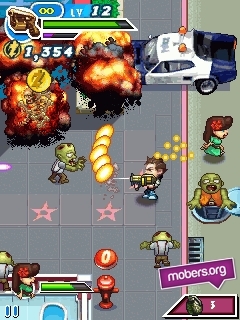 Run and gun as you shred through waves of zombies that get progressively harder to put down. Become the ultimate survivor! 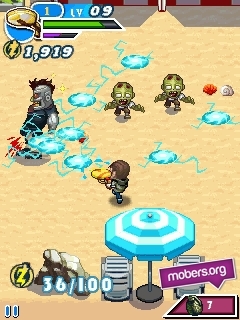 Power-up your hero with more destructive weapons and cool gear. 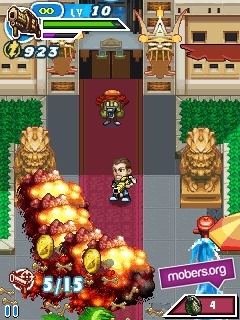 Enter a hilarious journey with cartoonish characters and environments inspired by Hollywood hits. Unleash the fury with a huge arsenal including dynamite, flamethrowers, shotguns and more. Discover 13 maps and 68 missions to complete on foot or while driving crazy vehicles. High-octane action with auto-aim and continuous fire for maximum damage.